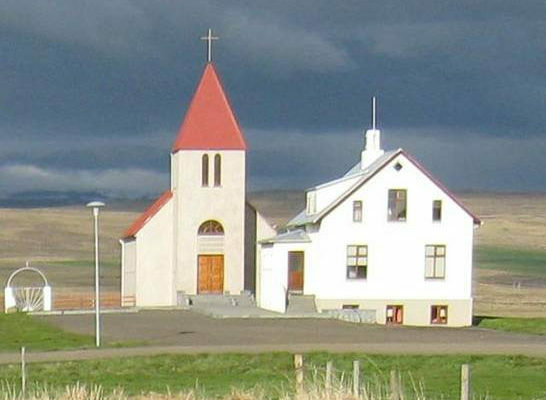 Melstaður, an old manor farm, parsonage and church. It grew in importance after the introduction of Christianity, and was considered the second richest parsonage in northern Iceland. Residence in the 16 th century of Björn Jónsson, son of Bishop Jón Arason of Hólar, and later, 1598–1649, of Arngrímur Jónsson the learned, who was a prolific writer. Some interesting old relics in the church.